As I’ve mentioned previously, We English aims to extend, and reflect upon, a rich history of documentary photographic projects by British photographers that have aspired to capture the lives of diverse communities across the country and explore issues surrounding national identity. 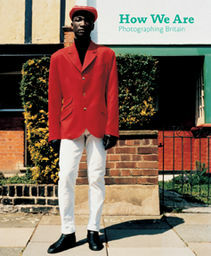 Some of which could be seen in the recent exhibition at Tate Britain ‘How We Are – Photographing Britain’ (2007). I’ve compiled a timeline of major photographic projects that have been concerned with documenting the social, political or cultural landscape of England/Britain. Not all these bodies of work were published as books (for instance Another Country by Chris Killip & Graham Smith was an exhibition at the Serpentine), while some have been published much later after the photographs were produced (such as James Ravilious’ An English Eye). You can find links to many of the works under the ‘Photography’ section on the side panel. This is not an exhaustive list, rather work I have come across over the years and which has proved inspirational in my research for We English. Please free free to add your suggestions of important work that I may have missed. This entry was posted on Wednesday, April 16th, 2008 at 6:59 am	and is filed under RESEARCH. You can follow any responses to this entry through the RSS 2.0 feed. Both comments and pings are currently closed. I’m very interested in your project. For me, the most powerful work is that of Ray-Jones. Try also Snowdon’s (1979) Personal View. Weidenfeld and Nicholson. ISBN 0 297 77715 7. For example Cruft’s p58-9. Colin Pantall (who posted some ideas for me) suggested I include ‘The Close Season’ by photographer Ken Grant. Thanks and well done for this very interesting (and impressive) list!